I was dismayed this morning to find Anthony Watts had chosen to end strained but outwardly reasonably polite relations with me by throwing down a gauntlet I had no option but to respond to on a comment chain starting last night. This stuff goes back two years, and has been brought to a head by the recent smear campaign Willis Eschenbach and Anthony Watts have launched against the group of honest scientists I have been working with on our special edition of Pattern recognition in physics. The comments reproduced below are from a new thread where Willis Eschenbach misrepresents the work of Professor Jan-Erik Solheim, (University of Oslo Inst of Theoretical Astrophysics) who contributed two papers to our special edition. I violated your trust by alerting the PhD’s to the ad hom and bad math attack about to be launched on them by Willis, and you sacked me from the voluntary 30 hour a week moderation job I was doing for you. It was a merciful release from a situation supporting behaviour I could no longer stomach. Willis’ maths left a lot to be desired on that occasion Anthony, and you refused the PhD’s the right of reply here where the attack on them was posted. So they asked me to post it at the talkshop where they could get a fair crack of the whip. Can you or Willis find anything wrong with their maths? I doubt it. REPLY:Well OK since you’ve brought it out into the open, here’s my say. As you know, your breach of trust caused a very insulting and nasty personal attack to be sent to me from the N-Z camp, and even though the article had not been published, they made ludicrous demands to go along with the insults. And so, you rationalized using privileged information, obtained by the trust I placed in you by giving you administrative access to my blog, using that to launch a rebuttal. I said then after they way they emotionally and unprofessionally exploded over something not yet published that you could have them and their reply. You were a lot more contrite then when I explained why I could no longer trust you, and you understood why and agreed with my decision to terminate your access. I find it telling that you would use my trust that way. It is a sad commentary on your ethics. You were also quite thankful when I went to bat for you in your times of need. I said then after they way they emotionally and unprofessionally exploded over something not yet published that you could have them and their reply. Willis had already infuriated them with the avalanche of ad hom attacks and misrepresentations of their work in his previous posts. They demonstrated to you that his maths was bunk and that posting this next attack was ill advised. But you posted it anyway and denied them a right of reply. You were a lot more contrite then when I explained why I could no longer trust you, and you understood why and agreed with my decision to terminate your access. I find it telling that you would use my trust that way. It is a sad commentary on your ethics. I knew we’d no longer be able to work together after you condoned WIllis’ behaviour, and that was a matter for regret. I was certainly sorry we’d arrived at the parting of the ways. I have no regrets over my ethical choice to put correct maths and decency in debate before loyalty to a blog which permitted the personal and scientific abuses Willis indulged in, and your condoning them. I was. But that innings was before the events we parted company over. I maintained decorum about those events so far as was possible since then. But the unwarranted attack you and Willis are now making on the integrity of the members of our research group is the last straw for me. We’ll keep going with our productive research though. I believe in making my own luck, but thanks for the sentiment, and the same to you. There are a couple of things to note regarding this exchange. Firstly, that no attempt is made by Anthony to rebut the central point about the bad maths and misrepresentation used by WIllis to attack decent people who did honest work. Secondly, that by saying ‘good luck in the future’ Anthony is in effect saying ‘goodbye, don’t post comments here anymore.’ Which means I won’t be able to defend myself or my fellow researchers against further attack at the WUWT megaphone venue. Well so be it. It has become an increasingly unpleasant place to try to hold any kind of reasonable scientific discussion in our area of interest anyway. And fair’s fair, I had to ban Willis from dumping his abusive rhetoric and dodgy arguments on the talkshop around the same time as Anthony kicked me off the WUWT moderation team for alerting PhD scientists Ned Nikolov and Karl Zeller to the disgusting tirade of abuse and bad math they were about to suffer at his hands. So, onwards and upwards. A promising discussion is developing on Stuart ‘Oldbrew’s post on Toro, the Earth’s second satellite. We love penetrating the mysteries of the solar system, and this one could shed light on the energy transfer mechanism’s which both energise axial rotation variation and maintain the stability of the system. Anthony falls victim to the same demons of politicisation as the alarmists, where the message trumps the data/method. Unlike the alarmists, he does recognise that it’s important to fight those demons (rather than despicably minionising them). But it’s an ongoing internal struggle, and one he doesn’t always win. But hey, he tries. yes, there’s that. I sometimes wonder how a basically decent guy can stomach the nasty invective and scientific ridiculae his colleague Willis churns out, but obviously we are not privy to knowledge of the internal dynamic which enables the cowboy to do this with impugnity. You may recall the NASA forecast for solar cycle 24. You can see that very little knowledge. Their expertise covers the a short period of satellites. New ideas are needed to explain, long solar cycles. Is the special edition still available? The publisher says they have closed it down. Hi Avis: It is, but not via the front page of the PRP journal website. I advise you to download all the full papers in case Copernicus decides to end access to that link. They are archived here too, I will be putting up a page with the papers on as soon as I have a spare moment. Thank you very much. Unless I have reviewed them myself, I cannot put my name behind it. Avis: thanks for your interest, I hope you find the work useful in some way. Please let us know. I posted this over at NoTricksZone, although it has got lost in the ether. “It is interesting that Mr Watts felt the need to jump in to the defense of WUWT and Mr Eschenbach on this site. and his apparently incorrect use of Statistics to prove his point. I suggest that is worth everyone reading it for themselves. Two things are very obvious about Mr Eschenbach is that he cannot admit he is wrong and he cannot apologise when he is. program “The Wonders of the Solar System”. It did not concern Sea Levels but River Height and Flow, in the case he presented it was for the Amazon. I would point this out to Mr Eschenbach but I have also been banned from commenting on the his Posts after he misread what I wrote about Him and Konrad and when I called him on it he responded by saying I was calling him a Liar, I refused to apologise and so in the end I did call him a liar by distorting what I wrote. Of course the result of this was that he refused to answer any of the questions that I had asked between my so called calling him a liar and his banning me. He uses this kind of diversionary tactic, ridiculing and abusing commentators rather than answering really awkward questions. Anthony and Willis are becoming their own dogmatic island with their attitude to N&Z’s work, greenhouse gas theory and interplanetary effects in the solar system among other things. They are showing the same types of behaviours that the alarmists do and get pissed off when you point it out to them. Willis’s complete lack of understanding of physics was shown in his steel sphere thought bubble post which just piled stupidity on top of ignorance. It is fortunate for WUWT that there are a large number of contributors which give a varied look at climate science (such that it exists). I laughed when I read that, thinking of the unscrupulous misconduct he tolerates from his primary wingmates (which is the one & only thing that has ever caused me a serious issue with AW). But it’s not worth dwelling on. It’s time to get past all of this efficiently. I’m directing my attention back to multidecadal variations of annual land-ocean contrasts. Paul: Yes, Willis and Leif have killed WUWT as a science blog, but I guess they keep the visitor numbers up with their antics. Plenty of people love watching and goading dogfights. A lot of the scientifically literate left after the N&Z debacle. Willis further proved the case that he does not know how to read a scientific work, he simply jumps around and he is quite confused on basic scientific concepts. 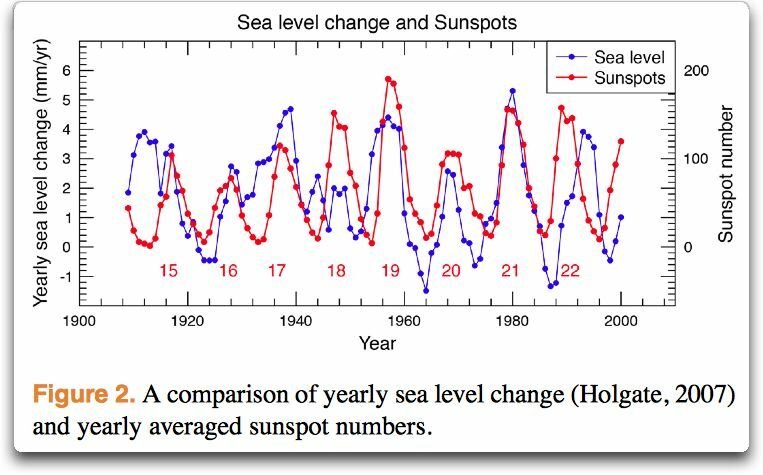 Here sea level changes and sunspot number oscillations are compared. Here sea level changes and a solar irradiance reconstruction, which Willis does not know is made mostly with the sunspot number record and presents the same cycles, are compared. where sea level changes and solar cycles are compared. Those who understand a minimum of these things realize that the three figures are exactly the same thing because the issue was to compare sea level changes and solar cycles. If the solar cycles are expressed in sunspot number or in total solar irradiance is the same, evidently. But Willis did not get it, and Anthony doesn’t it either! Nicola: Willis does get it, he’s simply being deliberately dishonest. The scumbaggery needle is off the dial. Bernd Felsche reports that his erstwhile friend the cowboy Willis has deleted a terse and critical comment he made on the thread where Willis misrepresented and attacked Professor Jan-Erik Solheim. @Roger; Its’ about time you abandon WUWT and concentrate on your own bailiwick! Anthony is moving his blog in the direction of a checkout counter tabloid and away from discussion of science, pity. Anthony is first and foremost a media personality. My wife and I have been acquainted with him for well over 30 years and don’t feel that he is a nice person to be around. Willis is an entertainer that does not let facts get in the way of a good story. I enjoy his yarns but his grasp of the science that he writes about is a bit weak. You don’t need to deal with them. PG: Thanks. No choice now as Anthony has shown me the door with his rather hollow ‘good luck in the future’ closing words. But you’re right anyway. We have much real scientific work to do, and exciting times lie ahead with our work on solar system dynamics, solar terrestrial relations, and finding out the answer to the question ‘why phi?’. tallbloke – we need you. And Anthony and Willis too. You have different approaches for sure. Your ways will be parting for now. No need for an acrimony. I’ll keep following you all. Regards, and a good luck. I’ve been in private enterprise long enough to recognize when the complaint is that you are perusing a line of thinking or questioning that is either at odds with the Boss or the Boss should have thought of first (he thinks) or that is taking focus away from the Boss, which is unacceptable. I see that here in the WUWT pre-eminence in the skeptic side. There is a Watts-D’Aleo-Coleman meteorological clan supporting a Morano-CFACT-Heartland political team. McIntyre, Mcintrick and Laframboise are important but, as Canadians, external academics, adequate to speak only; the above Watts et al group are the important skeptic army, geared up for action. And everyone else is perhaps useful, but outside. The ideological and national politicization of CAGW is as considerable on the skeptic side as well as on that of the alarmist. It is a shame, but CAGW is more a battle of wits than one of science (and has been from the start). Watts would say you went too far, you alienated a possible ally; I would say he thinks you bit the hand that he wants to feed him some day. Technically, I can’t say much about your papers. Interesting ideas are not always right, not always right in all aspects, but always thought-provoking. I used to think that the world wished for solutions to problems, so new thoughts would be helpful. Now I realize that most of the time the world wants THEIR solutions to problems, even solutions to only the problems that they see. I applaud what you are doing. But free-thinking disturbs (confusion, fear + anger) the mainstream consensus-seekers. Free-thinking is not what a “team” player does. Being kept on the outside is the penalty. I was a loyal fan of WUWT for about 6 years. What we see going on there is something new in the last year or so, IMHO. Hopefully, this is not the beginning of the end for that great blog. The scientific community sorely needs all the great science blogs we can get. Doug, wise words. I’m used to thinking for myself. And I’ll keep doing so, it has stood me in good stead so far in life. WUWT is an interesting place to go. But when I want to look for the latest papers, I go to Hockeyschtick. When I want real science I go to Tallbloke. I’m not intimidated by all the venom thats being directed at planetary influence. When your on the right side of science you know it. Its great hanging out with the best and brightest. When your at a baseball game, everyone knows who’s in the game and who’s throwing garbage from the stands. Most of us are grownup; Let’s There Be Light. Vuk: Indeed. And a few matters need to be subjected to the disinfecting properties of bright light, rather than mouldering in cupboards with skeletons. An apology from WUWT to Jan-Erik Solheim and Niklas Morner would be a good start on straightening things out. R.J. Salvador too. FFR, it’s “Let there be light”. Shine on! Sad to see the recent schism develop. I have also had periods of discomfort with the general trend over at WUWT. Anthony has always had some “no go” topics. I understand his interest in trying to manage totally off topic tangents, but there is a fine line between limiting discussion on certain topics in a thread because they are a distraction and simply blocking all discussion on a topic. I apparently stepped on Willis’s toes during the gravitational potential energy discussions regarding the origin of the atmospheric lapse rate. Ever since then, he has totally ignored my comments on his threads even if I directly address him with a question or comment. Not sure if he is using “ignore” or just being intentionally dismissive. He clearly has misunderstood some of my comments and in some cases interpreted them nearly 180 degrees out of their intended meaning, but his refusal to engage makes it impossible to sort out his misunderstanding and misrepresentation of many other people’s comments. I now tune out his posts as soon as that behavior appears in his responses to a commenter. I have always tried to keep an open mind and even if I believe a persons idea has no merit I will give them the benefit of the doubt and try to understand their point of view and try to understand where they are coming from. Occasionally in the process of trying to dig out how the idea is structured or the view point the other person is using you have one of those Ah Ha! moments and recognize their frame of reference and even on occasion discover they have a very good point or observation buried in their point of view. When I was in high school debate we had a moto that my partner and I had on our card file boxes we used for reference. It was a reminder to really look at the argument the opponent was making and not be dismissive. In school debate you ended up debating both pro and con on each topic so even horrible debaters sometimes came up with great rebuttal arguments or ways of pointing out a fallacy in your arguments. That sharpened your arguments and made you a better debater in the long term. Far too many important scientific discoveries have been dismissed out of hand only to eventually be proven correct, because the prevailing wisdom of the time they were first expressed prevented rational discussion of the concept. Keep up your efforts to examine what you find interesting! It is open debate and discussion with is the gateway to progress, not stove piping dogma that prohibits investigation. Lots of kids have jumped off the barn with a cape to try to fly but ultimately that desire to try new things led to rocket belts, and all sorts of other unexpected developments. I have little patience for those who refuse to engage in a legitimate effort to understand by refusing to answer direct questions or by belittling the questioner. I will continue to view posts on WUWT because many of them are very interesting (I often learn more from the comments than the original post). But I have significantly reduced my interest in commenting due to some of the issues discussed above, and rarely bother to even read the posts Willis puts up, because of those issues. He can be abusive and condescending – both of which I find highly offensive, and consider unacceptable in a blog that purports to be what WUWT is. The fact that Anthony does not make an effort to rein in Willis’s excesses indicates to me that he is more interested in his click traffic than he is in getting to the meat of some of the issues. My bet and hope is that Anthony will see the light and not fear it. Willis is a great writer, but his discussion abilities, when in a position of perceived poewr, get really weak. And even destructive. WUWT has been a great and important forum for many years of skeptical work and thinking. He is the largest site on the blogosphere for climate issues for a reason. i sincerely hope this will turn out to be a passing storm, and that while things will never be as they were before the storm, they can actually come out better despite the storm. Skepticism is not a team sport. Every idea you encounter should be critically examined, but you must be open to each new presentation too. WUWT now has subjects that are either banned or reflexively ridiculed by the prima donna Willis and the unbearable Charles the Moderator. The problem is that when you see behaviour like this you need to be doubly sceptical of anything posted there because it is obvious that they are more about massaging message than honesty. Some very self indulgent topic choices there. Actually, if using bad assumptions like any low R^2 meaning little relationship, anyone can pseudo-prove even absurdities like sunspots having little to do with other metrics of solar activity, or little correlation between them and the mostly-solar-modulated cosmic ray flux (CRF). For instance, the R^2 for monthly sunspot counts versus monthly cosmic ray flux over the first half of the 1980s is a mere 0.113, even with the CRF being pressure-corrected. If using annual averages over that period, it becomes 0.273 (with reduced effective sample size then though). With monthly averaged data, its highest value for any single whole decade of modern data is 0.747 for the 1990s, becoming 0.648 if calculated over a broad 1964-2012 period of data from a neutron monitor. The latter is actually not bad in context, over so many datapoints. And real-world data on almost anything of relevance to climatology is messy. But, if I wanted, bad misinterpreted-math style, to pseudo-prove no correlation between sunspots and cosmic ray flux, just getting down to small enough values (daily maybe) would get in enough noisiness to lower the R^2 towards 0. (Likewise, I would wonder how many and what points were put into Eschenbach’s sunspot-vs-sea-level graph digitization, being maybe the original dots or maybe others, but that can’t directly be told since, excuses aside, fundamentally he repeatedly refused to provide his digitized data when Michael Smith and Mike Rossander commenters asked for it). The actual likelihood of CRF being heavily modulated by solar variation (for which sunspots are usually a good albeit imperfect proxy), is not what any of those R^2 values for mere linear correlation tell but rather certainty. The sun’s interplanetary magnetic field heavily does so, with other influences including Earth’s magnetic field. (If disagreeing with anything in this post, view all of that from top to bottom first). One aspect is how many arguers have sadly learned that computer models or, in this particular case, computer statistics, are great for impressing the naive, because people neglect how they are only as good as the hidden assumptions behind them and their interpretation. As an analogy, if someone makes a computer program to tell me that a picture of a cat is really a picture of a tree, I, in contrast, want to test the methodology first on other applications (like whether the lousy image analysis software gives the same result for about all pictures), rather than auto-trusting it over my own eyes. The other aspect is the formation of a Willis-Mosher-Svalgaard clique, which will be a negative for WUWT, as too many confuse ability and desire to spend hundreds of hours on internet arguments with actual logical superiority of their arguments. (Another, richardscourtney, really stood out to me in an exchange months ago by how he wrote a whole semi-lengthy reply without even once clicking on the single link I gave). Perhaps I might post this in that thread too, but I need to go to work tomorrow, while anything 300 posts down in an article already far off the front page isn’t going to be seen by almost anyone compared to the number misled by the original article. Meanwhile, biased arguers tend to burn time until getting in the last word for pseudo-victory since most skim readers don’t notice details beyond such (with the usual strategy of attempting to punish and drive away posters of inconvenient info through time-wasting to discourage them, analogous to the cheering for this journal closure). Thanks Henry, and welcome. Your points are well made. I just left this on Willis’ latest two minute hate thread, where I’m an unperson so far as Big Brother Willis is concerned. I’m starting to write my rebuttal to your attack on Professor Jan-Erik Solheim. I looked at your post again to find a link to the data you generated by digitising the plot of Solar Activity vs Holgates Sea Level curve, but to my astonishment, it appears you didn’t supply the dataset as supplementary information in your post. Please could you upload and link it so I can replicate your R^2 findings. See the first and primary reason given by Copernicus on the front page of PRP before they had second thoughts and altered it. We followed similar peer review procedure to other journals publishing special editions. I’ll publish proof of this if you like. Some others won’t like the outcome though. I’ll make it clear in the post who goaded me into it with extensive quotes of your hypocrisy. A simplistic analysis can produce a correlation of zero for perfect linear data match but done aptly a good result is possible. For solar also remember we can’t see the highly important magnetic change, sunspots are just a unipolar visible effect, magnetics are bipolar tightly related to the visble. 11y vs 22y. More on that if you dig into the Talkshop. Detail search is best done by a specialist Google search, site search box top left leaves room for improvement, we have no control over that. I can’t say much on huge topics in a small space. If you want a look at incomplete work just before Christmas being done as comments progressed, which might receive more attention later, link below. The point is about simplistic usage of correlation; what if datasets have a phase relationship, not synchronous this does one for one with that. Obviously cause must come first in time. IMO this more about signal processing than statistics, long story there too. A possible solar linkage is I think magnetic but the physical mechanism remains unknown. Good grief, a year ago? I didn’t present this well. It suggests 22y temperature is related to 22y magnetic, but that is just part of all that changes, at the moment for example the sun is going into a strange magnetic state, could like to things about that. ” would think that anybody not having any training in classical statistics would look at two processes T and C and, finding that they always gave the same output to the same input, would say that they are correlated. No one has delved (up til my last reading on the thread) into that aspect. Correlation of smoothed data goes on every day, particularly with seasonal business forecasting and required analyses, are there pitfalls, absolutely. Most experienced analysts are well aware of that pitfall and how to address the issue. Tallbloke: Thanks. It’ll be interesting to see that. TChannon, indeed I’m planning to look at more on the Talkshop over time. And, yes, definitely even r or R2 math could get higher correlation depending on what was compared. Adjustment for ENSO could be needed for high accuracy at short timeframes, and, for the solar forcing, going beyond sunspots (which, as we both have noted, are just a proxy) may help. Incidentally, while Eschenbach relatively hyped how sometimes a peak or trough in the sea level estimate seemed to occur a bit before that in sunspot count versus sometimes after, actually similar is seen in the difference between the 9-station & 177-station estimates as well as in sunspots vs CRF (plots in the link in my prior comment). Although comparing to just a reconstruction of TSI variation, not ideal, Dr. Shaviv, in his 2008 paper,* in figure 6 includes a comparison not having the bulk of the nominal timing mismatches in the sunspots-vs-Holgate-sea-level comparison, with one large exception of the very oldest portion of the data. That such deteriorates at the very start of the data he attributes to high relative error with few stations in operation and mediocre coverage of the Pacific back then. While such gives a correlation coefficient r of nominally just 0.55 (or so r^2 of about 0.3025), such is over enough cycles and data that he concludes “the high N_eff = 67 gives rise to a 99.99% confidence that random realizations with similar autocorrelation functions as the actual signals cannot give such a high coefficient r” (where he means high in context). The article in the first link you gave has some interesting data. At first glance, it appears to possibly indirectly show evidence for rather high variation over the years in the percentage of clouds which occurred in the nighttime as opposed to the daytime, with regard to how the annual sunshine hour trend is not just essentially an inverted mirror of the annual cloud cover trend. (After all, since Earth’s rotation and inclination don’t change significantly over the relevant timeframes, annual sunshine hours would be practically constant if there were never any clouds of any kind, likewise constant in annual whole-year averages if not for daytime cloud cover variation or for sunlight blockage by something debatable if called a cloud like fog or smog). However, I’d need to look into the matter more before coming to any firm conclusions on it (including not having looked up enough to see exact definitions yet, like how they count foggy days). I do already notice your scatter plot map showing how the divergence between the trends varies by location. The depicted pattern in the local cloud cover is rather different from that for global average low cloud cover meanwhile (as in the last plot in my prior link), though that part is unsurprising with typically large variance between regions, and local cloud cover trends over time would be impacted by loads of factors including jet stream position. (The global average change in cloud cover over time is somewhat like the <= 1/500th change in global average absolute temperature which the <=~ 0.6 K of "global warming" over the past century amounted to: … significant in its own context but able to be locally overwhelmed by other variance). Anyway, I'm just beginning to look at that and your other link. I probably won't do justice to the amount to investigate right now but will come back to it. Good links, though. 1) Actually the Shaviv 2008 figure 6 difference can be more about magnitude and curve shape than in timing, with the data around 1945-1950 being an example. 2) I referenced “the last plot in my prior link” when meaning the link in my very first comment. Exactly Doug. The tendency of some sceptics to align with Heartland et al is a big mistake. A constant theme amongst some sceptic blogs is “the socialist agenda” (the one that the UK’s Conservative government seems to support too). There is almost certainly a quasi-political agenda (possibly even a geo-political one) underpinning AGW theory, but it’s nothing to do with socialism, Marxism or any other ism, whether that ism is nominally left, right or wherever. As for the objections of Heartland et al, they are ideologically driven and little more than an attempt to protect vested interests. The fact that AGW theory is seriously questionable is irrelevant here. Heartland et al are simply responding to a perceived threat in a knee jerk way, in the same way they’d respond to any threat, real or otherwise. Scepticism by Heartland does not mean AGW is real, but that’s the perception people get when they see Heartland’s name mentioned in sceptic comments. Likewise, the AGW herd can be found on The Guardian’s comment sections. There does seem to be an unfortunate tendency for the debate to follow a political split. I began by accepting AGW but started to see serious flaws about 4-5 years ago, starting with incredulity at the way Gore’s documentary was force fed to school children in the UK. My radar was tripped by both the content of the documentary and the fact that Gore was leading the charge. But it dismays me to see sceptics repeatedly referring to AGW as the “socialist agenda” blah blah blah. That tendency is very evident on some, sceptic sites and it diminishes the credibility of the sceptic (I don’t like this term btw) message. My guess is the AGW agenda probably overlaps with politics of the type that transcends party ideologies. The UK’s Prime Minister has recently pushed AGW as a threat. Last time I looked, he was leader of the Conservative Party. If Miliband – left of Cameron – is elected as Prime Minister, he’ll bang on about AGW. Salmond – left of Miliband – is an AGW torch bearer on steroids. There is almost certainly an agenda in play in promoting AGW theories. That agenda has nothing to do with socialism. Equally, rejecting the politics of the Heartland crowd doesn’t mean one has to believe the AGW guff. I follow this blog because it is quite technical. I also like Pierre Gosselin’s (although the commenters are often quite political) and Euan Mearns’ sites. 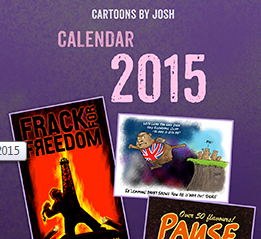 As soon as a climate science site becomes overtly politicised, I tend to view it askance. I often find climate change articles that I’d like to pass to others. I never do so if Heartland, or any other ideologically driven outfit, is mentioned.